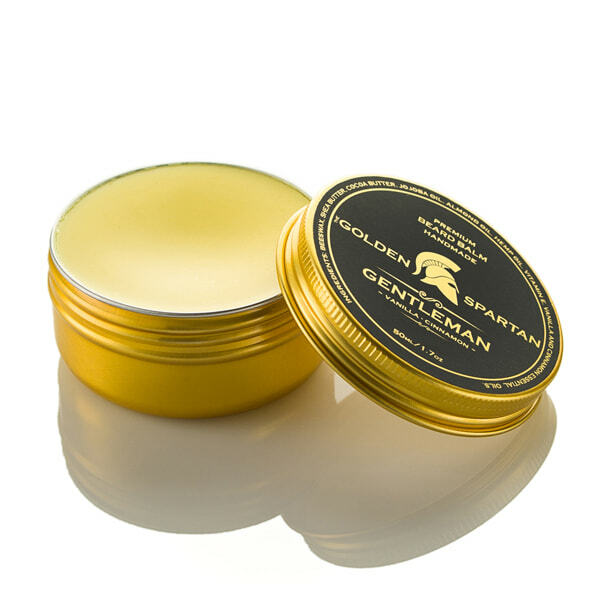 Gentleman beard balm for fans of more subtle notes. We present you with a fragrance inspired by vanilla and cinnamon, intense yet gentle. A gentleman knows why. 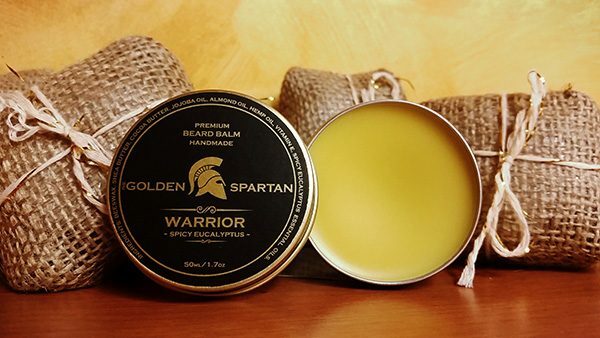 The Golden Spartan Beard Balm hydrates and moisturizes your beard while acting as a grooming tool. It will provide the necessary hold that beard oils can’t. It prevents hair from growing brittle, helps prevent flaking, dandruff and skin dryness. 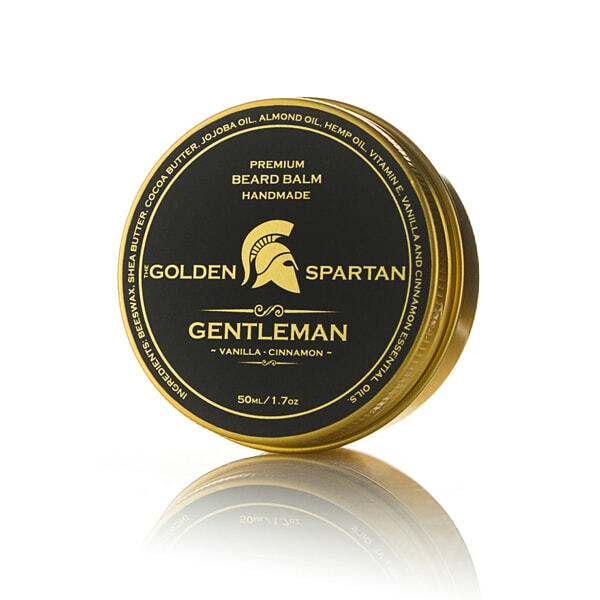 It makes the beard more manageable, neat, soft and smooth. 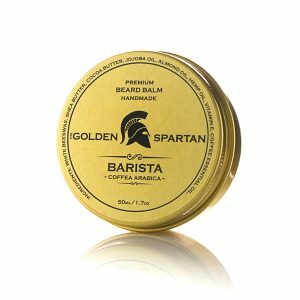 Ingredients: 100% natural beeswax, Shea butter, cocoa butter, jojoba oil, almond oil, hemp oil, vitamin E, vanilla and cinnamon essential oils. It is worth every penny, i will surely buy again!! Extremely honest , really fast, reliable A++++++ pleasure doing business with. Best smelling beard balm I ever had. Greetings from Slovenia. 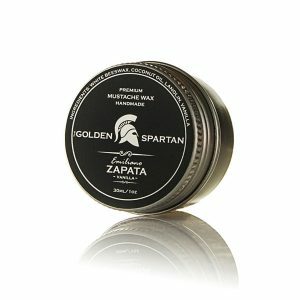 Fast shipment, great product. thanks!! !